Also referred to as benchtop scales, these devices are so named because they are most often mounted to a counter, bench, table or other work surface. Bench Scales – PCE Americas, Inc.
Industrial scales such as bench scales are commonly used in food, chemical, shipping and receiving, medical, pharmaceutical and retail industries as well as several other applications where small or medium sized goods are sold on the basis of weight. In some instances bench scales may also be used as counting scales, which work in reverse to determine the number of items from the weight rather than mass. To accommodate the many applications for which they are used, bench scales are available in a number of sizes, materials and with variable capacity and accuracy ratings. Sizes vary from those scales covering only a few inches to those taking up the entirety of the surface to which they are mounted. Capacities likewise vary with some scales measuring items that weigh up to 2,000 pounds and others handling only small scale items weighing less than 150 grams. No matter the specific load rating, durable materials such as stainless steel, steel, aluminum, cast iron, ABS and brass are used to increase product longevity. Stainless steel and aluminum in particular are more often used in industries where sanitation is essential as they are hygienic materials capable of enduring repeated washings. In addition to the aforementioned specifications, it is also crucial to consider the mechanism responsible for calculating the weight of a product, object or substance placed on the scale plate. The majority of bench scales fall into one of four categories: balance, spring, hydraulic or electronic. Balance scales consist of a bar resting on a central pivot point with identical platforms situated at either end. The object in question is placed on one plate, causing a shift in the balance of the bar. Objects of confirmed and known weight are placed on the opposite platform until equilibrium is reached, at which point the two platters bear equal weight. Though common in laboratory settings, bench scales of this nature are rarely used in manufacturing. 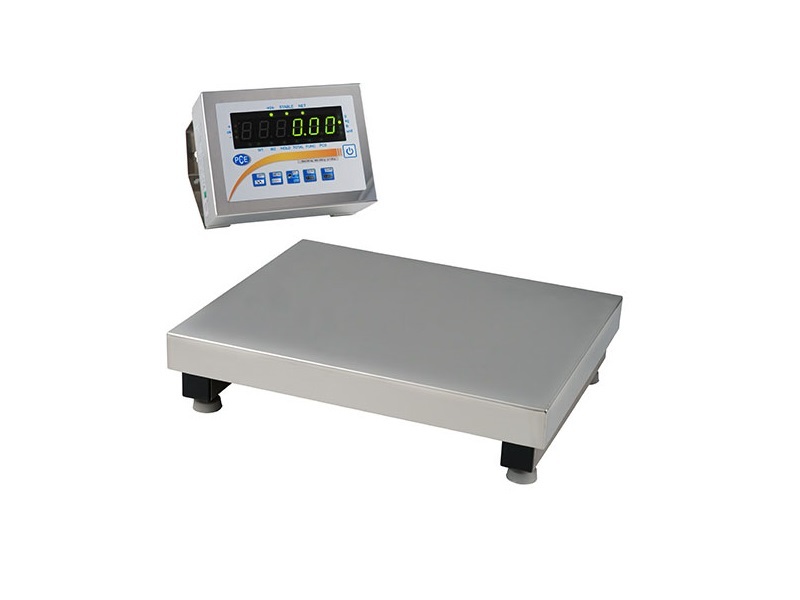 Instead, spring weighing scales are used in many applications. Springs located below the plate holding the load are calibrated with known and consistent resistance. The change in degree of compression due to the overhead force corresponds to particular weights. Hydraulics function in a similar manner, using the known displacement of fluids under pressure rather than springs. Both mechanisms may also be used in conjunction with other measurement devices acting as shock absorbers. 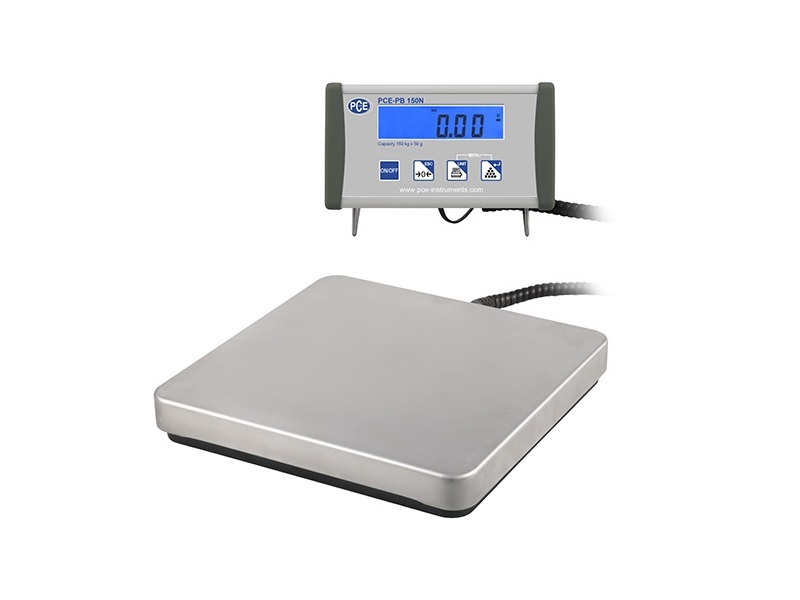 Finally, electronic scales, popular for ease of use and accuracy, use load cells and strain gauges located beneath the platform to determine the weight of a load. The degree of deformation encountered by a conductive coil or foil alters its electrical resistance. This change is then converted into an electronic signal, which supplies the data for the digital read out. The specific application for a given bench scale should be carefully considered when selecting a weighing mechanism. Bench Scales Bench scales are relatively light duty platform scales used in a number of industrial, commercial and domestic applications to calculate the static and dynamic load of objects or substances.